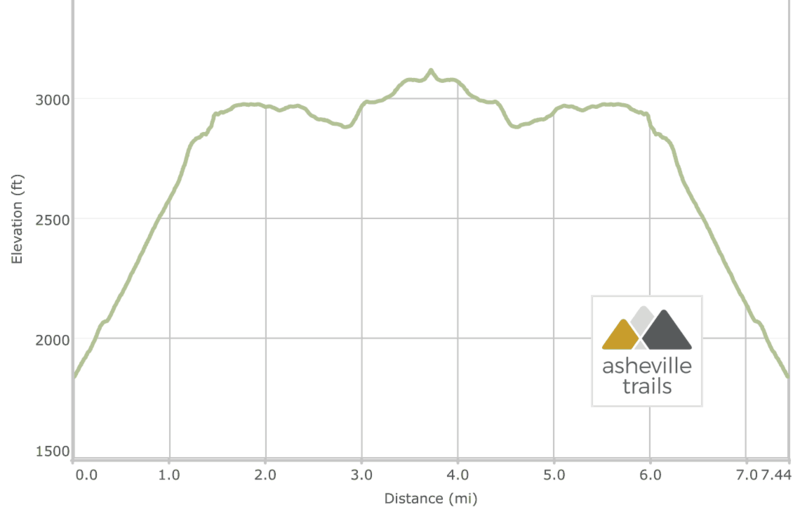 Shortoff Mountain presents breathtaking view after breathtaking view throughout this seven-miler at Linville Gorge, one of western NC’s most ruggedly beautiful outdoor playgrounds. The trail packs in a moderately steep climb from the start, but then mellows in the middle, making the hike doubly camera-worthy and workout-worthy, too. The views are sublime, stretching south to the placid waters of Lake James, and north into the deep-carved, rugged, waterfall-filled Linville Gorge. The trail’s terrain is rocky, angular and dramatic, framing the exceptional wide panoramic views that pepper this hike’s journey, including the nearby summits of Table Rock Mountain and Hawksbill Mountain, and the Linville Falls waterfalls in the far distance, nestled deep within the gorge. 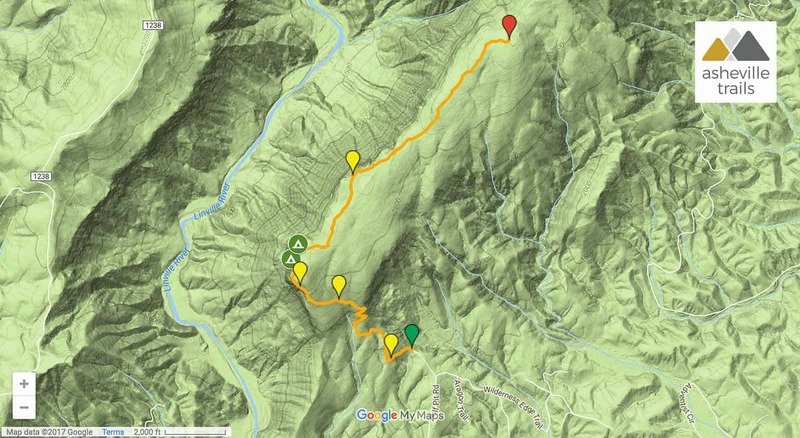 Mile for mile, this hike packs in a ton of scenic beauty on its seven-mile round trip – and the initial climb is a great, unrelenting workout, too. The mountain was home to several semi-recent forest fires, leaving the terrain open and the views all the more beautiful. The forest has begun its dramatically beautiful rebound, framing the dramatically barren shells of singed trees with lush undergrowth and abundant wildflowers. The mountain’s relatively moderate 3,000-foot elevation makes for a toasty warm hike in the summer, a fantastic mild trek in the shoulder seasons of autumn and spring, and a downright chilly, wind-blown adventure in the frosty winter months. The hike begins at the dead-end of the gravel-paved Wolf Pit Road near the northern shore Lake James (view maps and driving directions), hiking westbound and beginning a nearly unrelenting climb to the mountain’s summit. The hike climbs through rocky terrain and hangs a right at a hand-painted sign at .15 mile. Gorgeous views of Lake James begin to emerge at .5 mile as the trail carves through a series of sharply angled switchbacks before reaching a signed 4-way intersection with the Mountains to Sea Trail at 1 mile. The hike continues westbound through the intersection, following the sign’s direction to the summit. The southward views of Lake James get appreciably better and more dramatically wide open as the hike ascends, climbing a set of stone stairs at 1.15 miles. The trail crests the mountain’s near-summit at 1.3 miles, catching some stunning views of Lake James and into the southern stretches of Linville Gorge. The terrain is rocky, jagged and rugged – and multiple overlooks make a great venue to take a view-packed breather. The trail levels briefly before resuming the climb, veering northbound and diving into a young, scraggly, scrubby forest. The trail crosses a seasonal, trickling spring at 1.5 miles, just before reaching a large campsite with splintered side trails to stunning views. The trail passes a second, generously-sized campsite at 1.6 miles before arcing eastbound, diving through a grassy forest filled with gnarly-branched rhododendron and scattered campsites. 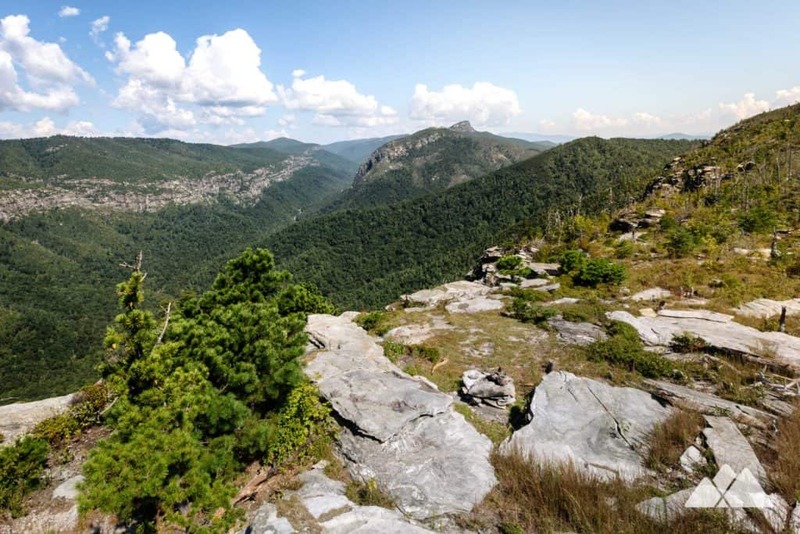 The trail levels, rolling gently as it skirts the summit of Shortoff Mountain and catches stunning, soaring views into Linville Gorge from a rocky expanse littered with angular outcrops and wind-swept grass. The hike descends briefly, catching more northbound views of the nearby Table Rock Mountain and the Chimneys, two of Linville Gorge’s most popular climbing venues. The trail dips through a shallow saddle at 2.9 miles before resuming the climb, ascending through a dense forest of rhododendron and pungent-scented, onion-like galax to the mountain’s highest elevations. The trail peaks at 3.75 miles, the views opening generously wide from a rugged, nearly-vertical outcrop. From here, the trail continues northbound, descending through Chimney Gap, passing an intersection with the Chimbric Ridge Trail and climbing to the Chimneys. This hike turns from the Shortoff Mountain summit, retracing its outbound steps to the Wolf Pit Road trailhead and catching stunning return-hike views throughout the way. The trail reaches the trailhead at just under 7.5 miles, completing the hike. If you loved the views on this hike, there’s a whole lot more of Linville Gorge’s beauty left to explore. 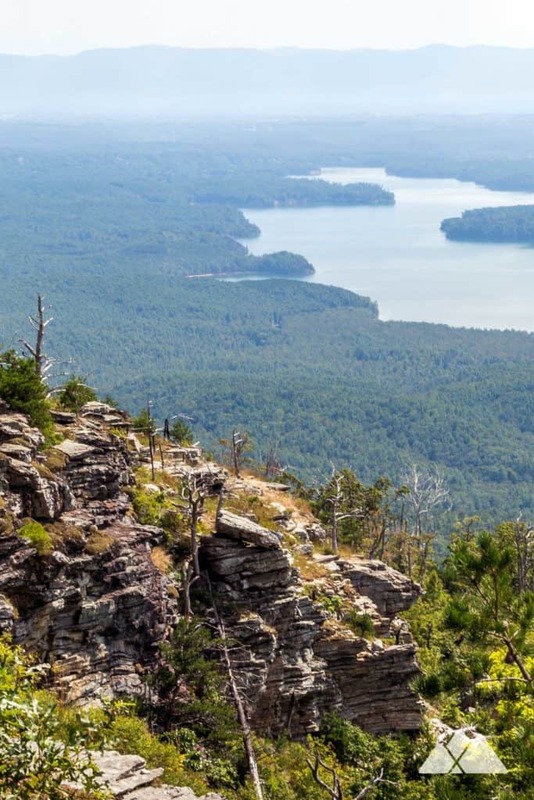 Hike the Table Rock Trail to the summit of the flat-topped, craggy summit of Shortoff’s nearest neighbor, catching gorgeous views in wide, sweeping panoramas. Climb to stunning views from the Hawksbill Mountain Trail, the perfect place to catch an epic sunrise or sunset near Asheville. Chase an up-close view of Linville Gorge’s stunning waterfalls on the Linville Falls Plunge Basin Trail, descending to the gorge’s floor to reach an enormous pool below Linville’s largest waterfall. 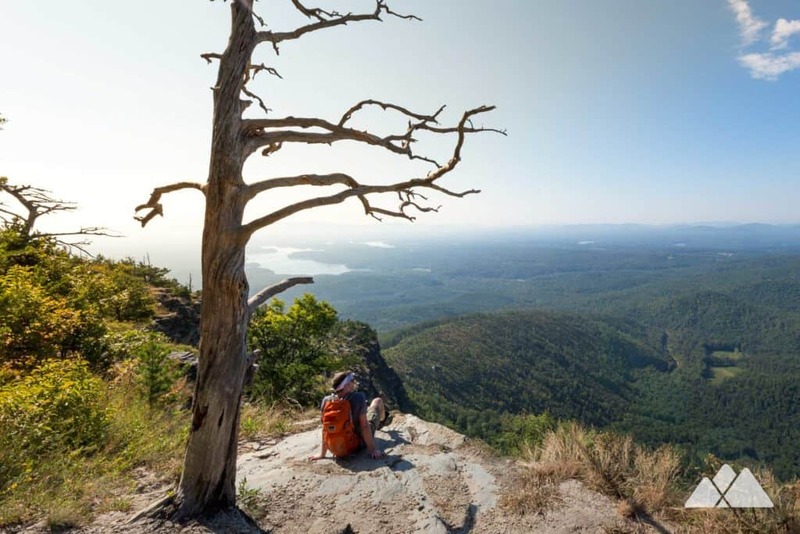 Or check out the full list of our favorite Linville Gorge hiking, camping and backpacking adventures for more trip inspiration in this rugged outdoor wonderland.